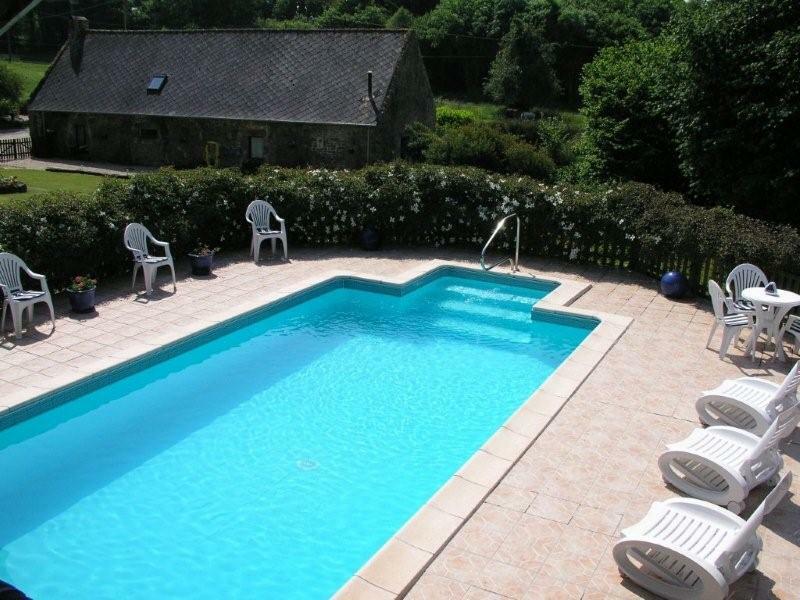 Pavot Cottage, with shared pool, sleeps 5 This is a wonderfully renovated cottage in the quiet Breton countryside, set in magnificent gardens, and nine further acres, with so much to do, you won't want to leave. There is a large heated swimming pool, a games room and a fully equipped gym. 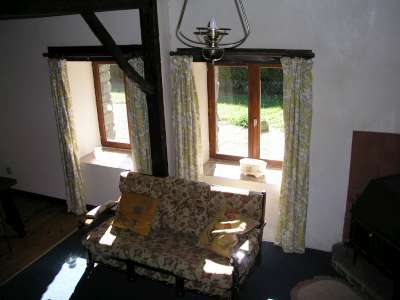 This is a semi-detached barn conversion, tastefully decorated. On the ground floor there is an open plan lounge diner with Sky TV & DVD player (100's of DVDs for hire in the library) , a fully equipped kitchen with dishwasher; shower room with toilet and wash basin and on the first floor there is one double and one triple (single beds) bedroom. Outside Poppy has its new decked patio area with brand new stone BBQ and beautiful private flowered garden. There are some shared facilities with three other lovely cottages; including: laundry room with two washing machines and tumble dryer; gym with various equipment; games room with pool table, snooker table, table tennis, table football, books and various games. The gardens are magnificent; extensive lawned areas, plus beautifully planted flower beds. The large (10 x 5 m) heated pool, is fully enclosed and has ample sun loungers, which is open end May to September. 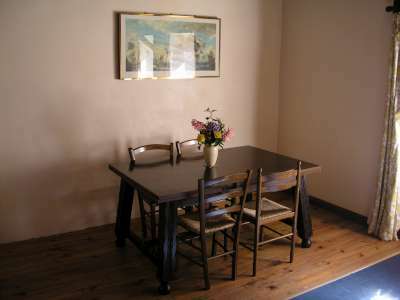 Each cottage has garden furniture, BBQ, and private patio outside.